I'm in love with this weeks cover, and I find the synopsis captivating. Victoria Brie (yes, like the cheese) has her future planned: go to an Ivy-League school, become a medical doctor, save the world. Easy as pie. Merged with a powerful artifact created by an evil mastermind, Victoria is hunted, stabbed, burned, shot, and attacked in the street… but she’s a survivor, damn it, and no one’s taking her out. 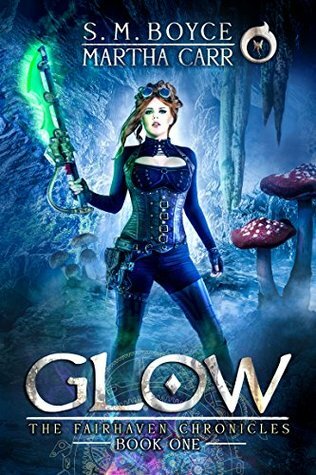 She falls in love with the magical underground city of Fairhaven, and when the elf who assassinated her parents comes after her new home, she’s not taking any prisoners. This series is an enchanting urban fantasy saga with a steampunk twist. Your only regret will be not starting it sooner. This sounds really good. I enjoy a fun urban fantasy. Great cover too!